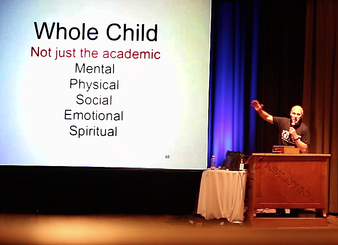 A keynote presentation that is an educational journey, based on research and reality, to pump up your life and have some fun as we struggle to get to the heart of education in order to reach, teach and protect. Relationships built on trust are the foundation of education and life. If you can’t relate, everything you do is more difficult. The challenges of building relationships are based on the 4 C’s: Communication, Collaboration, Cultural Competency and Caring. This keynote is filled with tips from the trenches to help you keep the whole person safe and healthy so they can learn more and live better. It is packed with cutting-edge information and heartfelt stories about resiliency, implicit bias, diversity, mental health, bullying, suicide, trauma-informed brain (adverse childhood experiences), substance use disorders (opiates), social emotional learning, brain-based learning, stress management, motivation and school climate and safety. Dr. Stephen Sroka has spoken worldwide with The Power of One message, how one person can make a difference. Two years ago, Steve died while presenting a school in-service. 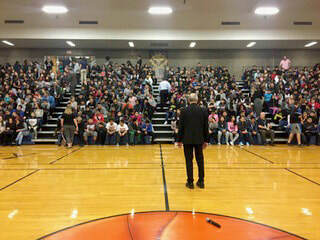 A principal, two SRO’s and others saved his life and changed his message. He now talks about how you need The Power of Many to make a lasting difference. Research-based and reality-driven, this session offers honesty, humor, and hope. It stresses the importance of passion, pride and persistence. It will warm your heart, stir your soul and ignite a fire in your brain. It has been said that it can even change your life professionally and personally. Let’s see if it can spark the fire within you! Who is Dr. Stephen Sroka? Come along an incredible ride from the “projects” to The National Teachers Hall of Fame and far beyond. “Boy is retarded,” reads the top of Dr. Stephen Sroka’s third-grade report card. In ES, he was mocked for having a crossed eye and a speech impediment. In HS, he was crippled in a fight. Doctors said, “Listen to your teachers.” The more he listened, the smarter the teachers became. His HS counselor told him that he didn’t have the IQ to go to college, but he didn’t know that Steve had the I WILL. He learned to live with the gifts of ADHD and dyslexia. His struggles to become a teacher made him a better teacher. He went from the “projects” to being inducted into the National Teachers Hall of Fame. He was awarded The Walt Disney American Outstanding Teacher, and has been on Oprah and covered in USA TODAY. Today, he is an Adjunct Assistant Professor, School of Medicine, Case Western Reserve University, and President of his company, Health Education Consultants. He has worked in schools worldwide for over 30 years. He travels the world striving to reach, elevate and inspire with The Power of One message. 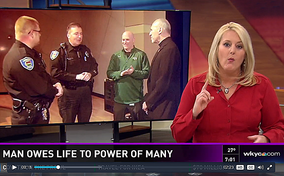 After a cardiac arrest, he realized that The Power of One was not enough. He needed The Power of Many. We all do. He always did, he just didn’t know it. He does now. 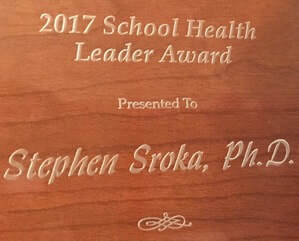 Recently, Steve was chosen the Person of the Year for The International Association for Truancy and Dropout Prevention and received the first-ever School Health Leader Award from the American Public Health Association. But his most meaningful “award” was his then six-year-old daughter telling him that he was smarter than the cartoon character, Inspector Gadget. Obviously, his wife does not agree. How The Power of One became The Power of Many. Read the story. ﻿Click here﻿. Catch the excitement of the Power of One presentation. Click here. 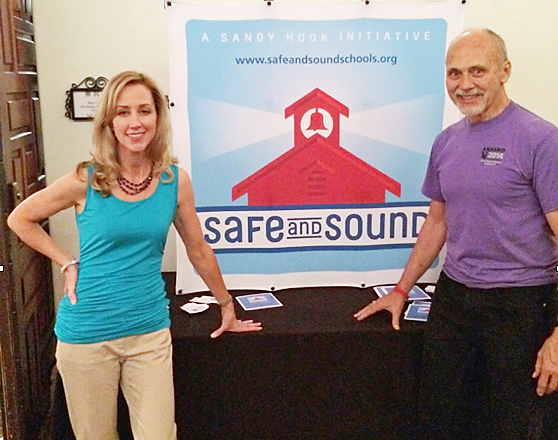 Dr. Steve with Michele Gay a co-founder of Safe and Sound Schools: A Sandy Hook Initiative. Michele lost her daughter, Josephine Grace, at the tragic shootings. Dr. Steve and Michele both keynoted the NASRO Conference. Keynoters at the Virgin Islands Department of Education conference. 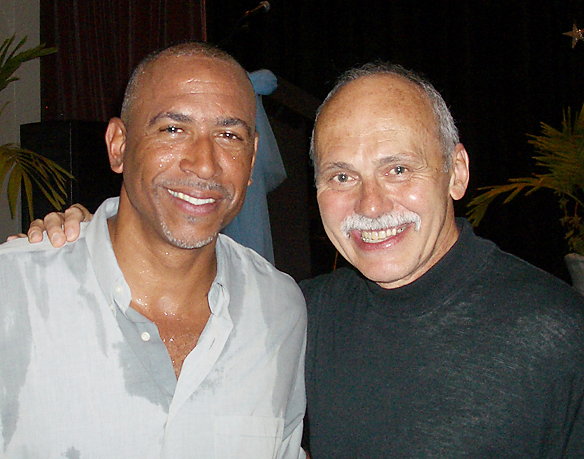 Dr. Steve with Pedro Noguera, Distinguished Professor of Education at the Graduate School of Education and Information Studies at UCLA.